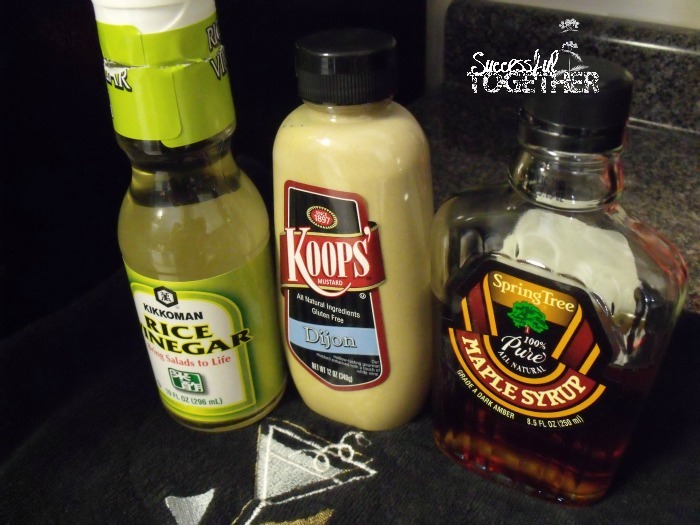 It's time for another fun installment of the Secret Recipe Club! This month, I was assigned a super amazingly beautiful blog. Debby from A Feast for the Eyes describes her page as " Take one recipe blog, and add a passion for cooking a garnish of beginning gardening and a dash of travel". Seriously, her page is full of so many wonderful recipes! Her recipes are organized so wonderfully! I had a hard time deciding what to make. She has great choices such as Cinnamon Raisin English Muffins, Crispy Fish Tacos, and Pan Seared Scallops and Pasta! 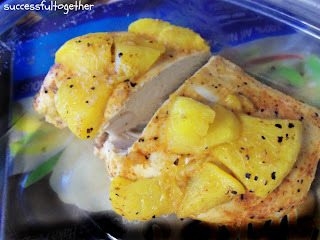 Check out the linky below for more great recipes! I must say, I love crowdtap! I had gotten a free pair of shorts from Old Navy, and then I was selected for the McCormick Grill Mates® Grill Ambassadors Party. The party pack I received in the mail had lots of yummy goodies! 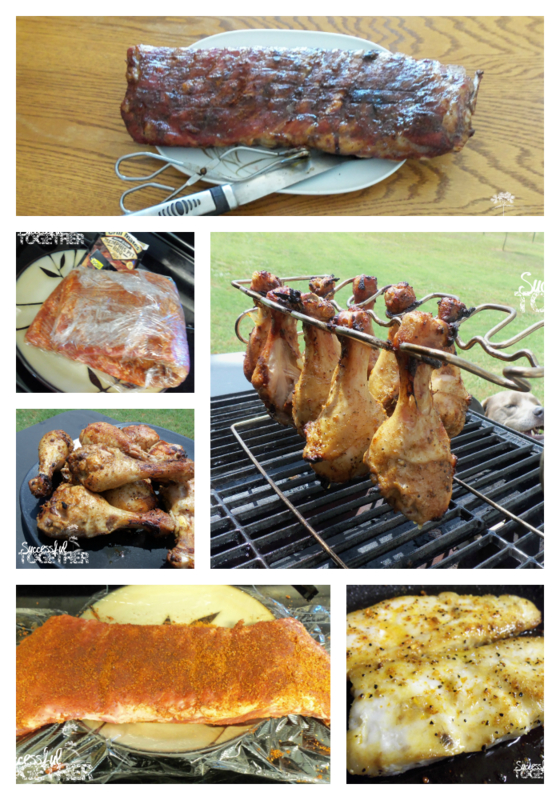 There is still so much summer left, and grilling is such a fun way to get friends and family involved together. We tried each one of these and we were truly impressed by them all. I like to think of this as my sweet and smoky flavor arsenal. The flavors are unique and full. The molasses bacon has become a multipurpose spice in my kitchen. Sprinkle some on top of your eggs, or on a baked potato to kick the flavor up a notch! 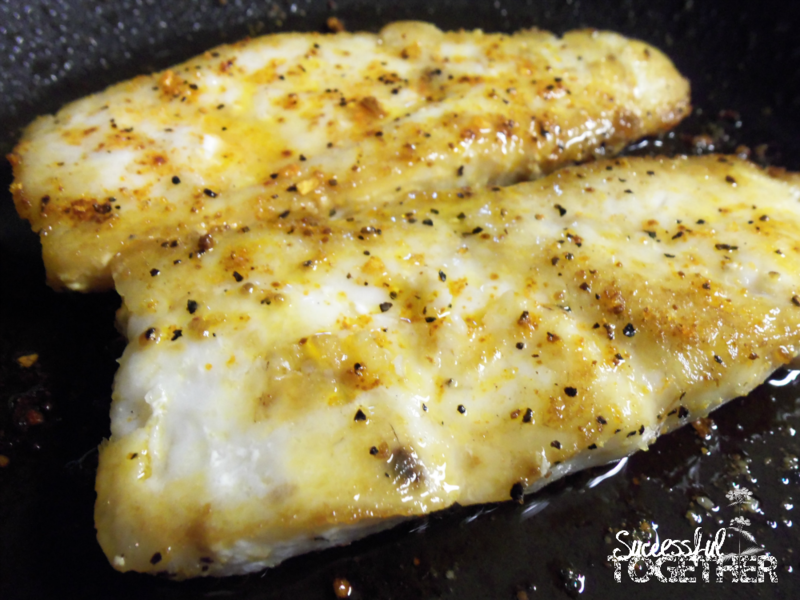 I cooked some Hake fillets in the stove top, in coconut oil, sprinkled with the spice and it was out of this world! Very tasty, and visually appealing too! The Brown Sugar Bourbon BBQ sauce is in a class of its own. The sauce is SO thick, no worries with wasting half the bottle from it not sticking to the meat when you are trying to cook! The bottle touts that this is both a BBQ sauce and a rub in one, which is pretty impressive. We cooked some chicken tenders in grill packets on the grill with the sauce. The flavor balance was perfect, just enough flavor but not over powering! 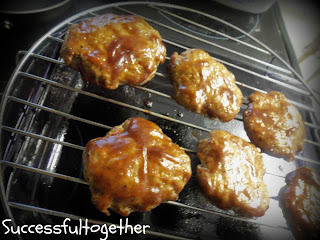 I used both the BBQ sauce and the Montreal Steak Seasoning to make these Turkey Burgers. Easy to make and tasty to boot. 1 pound lean ground turkey, 1 tbs Montreal steak seasoning, 1 tsp diced onion, 1/4 cup bread crumbs. 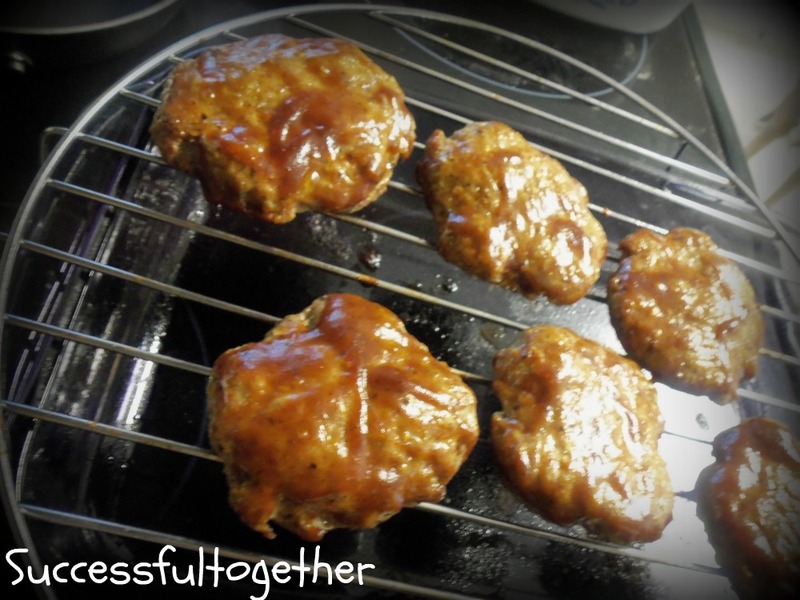 Mix together and form patties, Brush on BBQ sauce. Grill and enjoy! 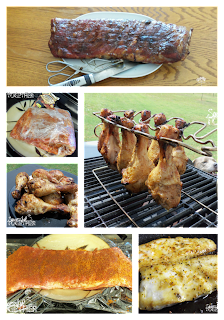 The biggest surprise was the awesome flavor that was provided by the Spiced Brandy and Herb Marinade. The package describes the flavor as having "the distinctive blend of herbs and warm spices such as cinnamon and ginger with a hint of brandy flavor" :D. I happened to be out of regular vinegar like the marinade recipe calls for so I subbed in some pomegranate infused red wine vinegar. Ed said these were the best chicken legs he had EVER had. That is saying something! 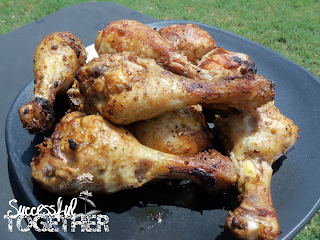 Last, but certainly not least, is the Slow & Low Memphis Pit BBQ Rub. I can say that I like ribs, but this rub takes them to a WHOLE new level. I was afraid that the spice blend was going to be too overwhelming and I am so glad that I was wrong. Honestly, I don't know that I will ever cook ribs again without this blend. 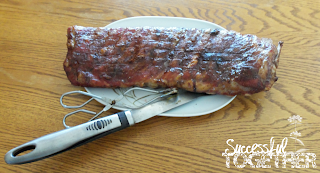 It is super easy to use, just rub it on the ribs, wrap in plastic and refrigerate for a few hours. The juices release from the meat and combine with the spices to make an amazing crust on on the ribs. Holy Yum. I really want to make more, just reliving the experience! 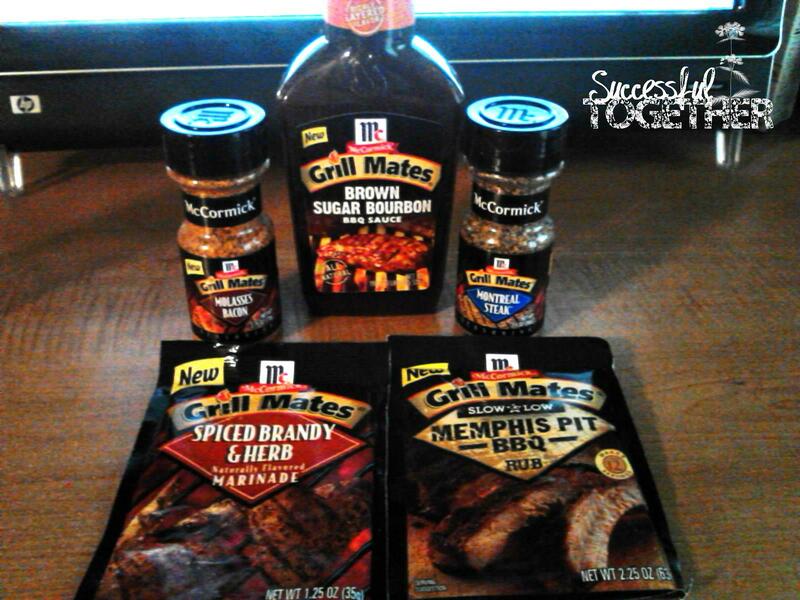 For more great grilling ideas, stop by the GrillMates facebook page. They share new recipes, and are even currently offering free ringtones! 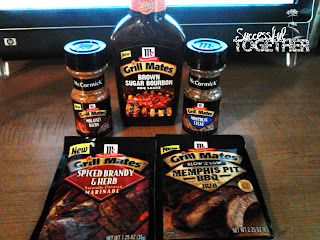 I was sent this awesome sampler pack to review from CrowdTap and McCormick GrillMates. However all opinions expressed in this post are my own, honest opinions. I was not given any additional compensation for my opinions. Stop what you are thinking, unless you are thinking amazing things. :D When I applied for this product review for Beanfields Bean & Rice Chips I was excited and nervous at the same time. Think about it. A healthier snack chip. There are all kinds of ways this could go wrong. After review the ingredients, mainly beans, rice and oils, my interest was piqued and I was so excited to get my sampler box in the mail. DELICIOUS! Beanfields is a family owned, values-based company. They love them some beans.All of their chips are Corn Free, Gluten Free and do not include GMO (genetically modified) ingredients. 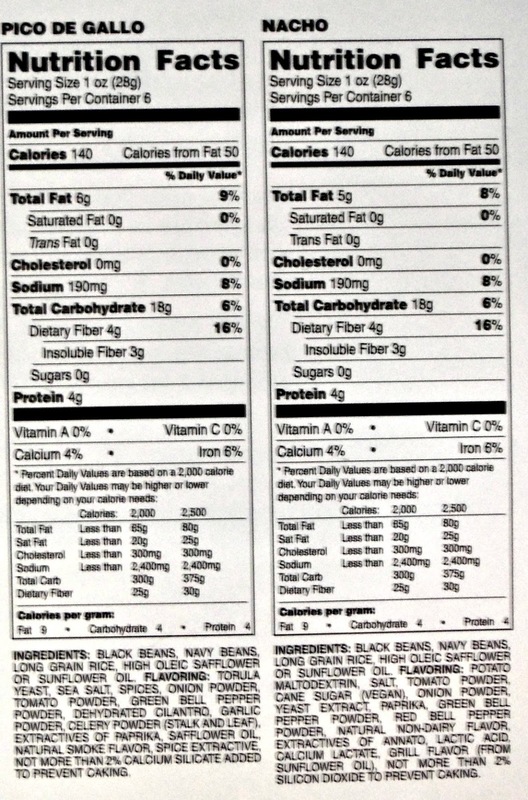 Beanfields believes that great taste, high nutrition and allergen free can and should co-exist. 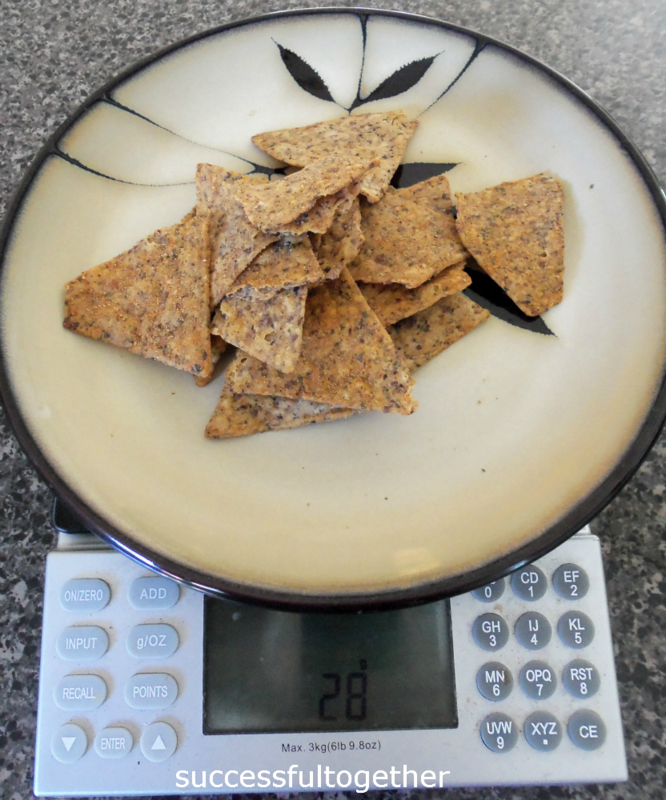 A servings of these chips packs 4 grams of fiber and 4 grams of complete protein. I shared the chips with some of my friends and co workers to get their opinion of them as well. All of the chips were super tasty and filling. They were crunchy, flavorful, and satisfying. The Pico de Gallo we my and my friend Stacy's favorite, while our hubby's liked the Nacho ones best. 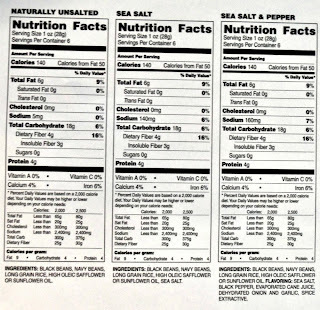 For those of you watching your sodium, the Naturally Unsalted would be a great option for you! 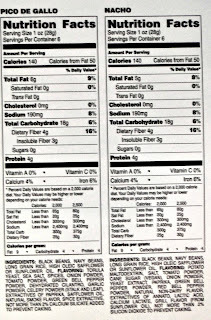 One serving only has 5 mg of sodium!!! 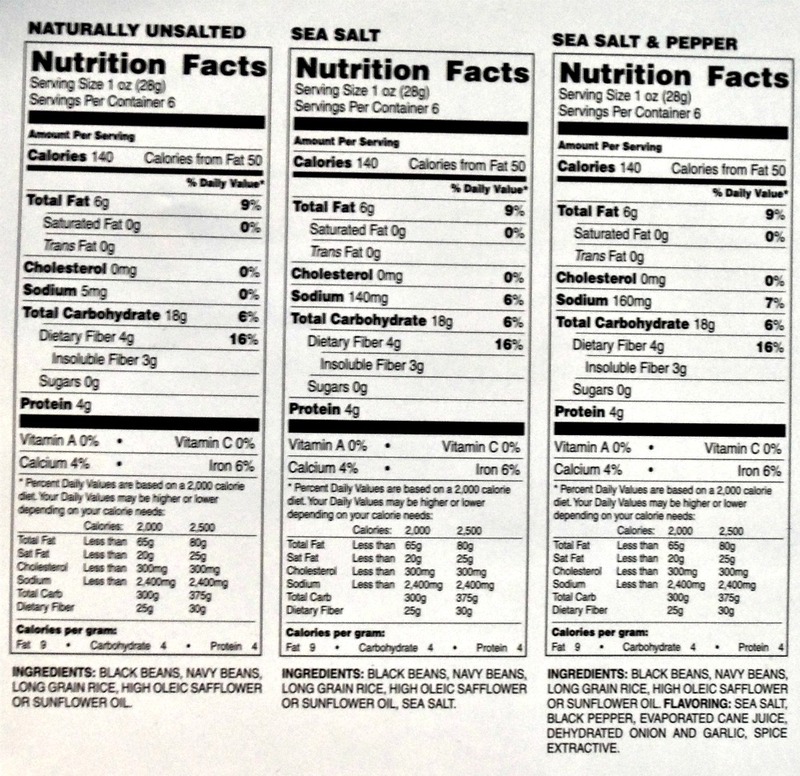 My boss and coworker both enjoyed the Unsalted variety.The other varieties range from 140-190 mg (see pics below). It is unbelievable that it is June already! 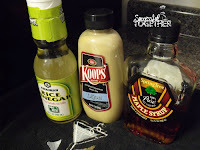 That means it is time for another Secret Recipe Club Post! This is such a great group of bloggers where each month we are secretly assigned another blogger from our group, so that we can visit their blog and recreate one of their recipes! 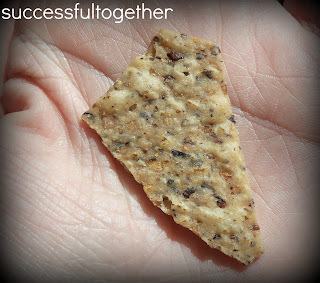 This month, I had the pleasure of browsing Julie's blog Little Bit of Everything She participates in all sorts of neat challenge groups, and that was fun to read about. 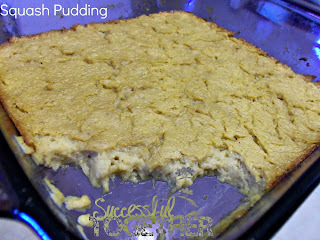 I have about 6 of her other recipes bookmarked to try later :) I eventually decided I needed to make her Squash Pudding. 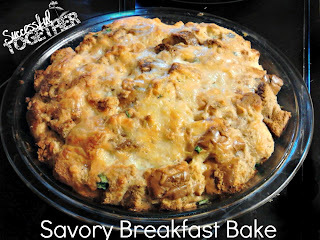 I wasn't really sure what size pan to use, so I baked mine in 2 8x8'sThank you for allowing me over to your blog Julie! I look forward to trying more of your recipes soon! Preheat oven to 350 Spray glass baking dish (2- 8x8 or 1 9x13) with cooking spray. Boil squash until tender and drain well ( I don't think I drained mine well enough as it never really set, but this could be the correct consistency) . In your blender or food processor, combine all ingredients and blend until smooth. 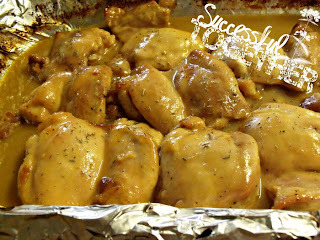 Pour in to prepared backing dish and bake for 30-45 minutes or until edges are brown. 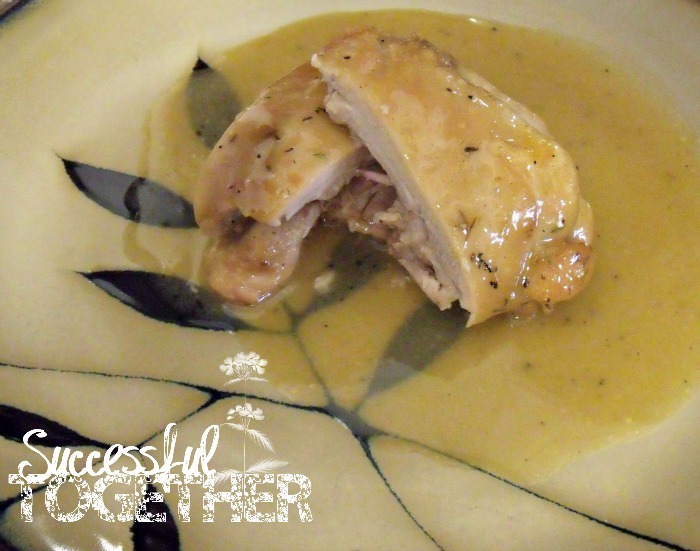 Check out the linky below for more great Secret Recipe Club posts!!! I have been eyeing rhubarb for a while, and every time I see a recipe I like, the rhubarb is not in season. BUMMER! This year, I was keeping an eye out for some that wasn't ridiculously expensive and when I found some, I scooped it up. 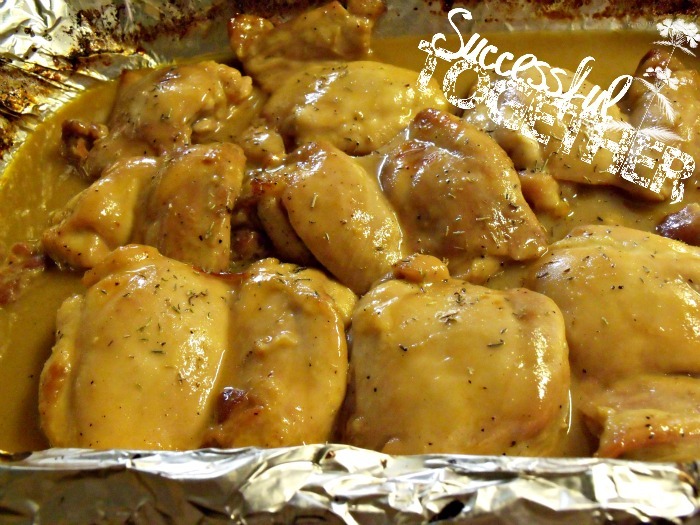 It took me about a week to find just the right recipe but it was totally worth the wait! Get Healthy With Heather is a fellow Secret Recipe Club Member and her recipe is fantastic! I made some adjustments but the original premise is based off of her recipe. 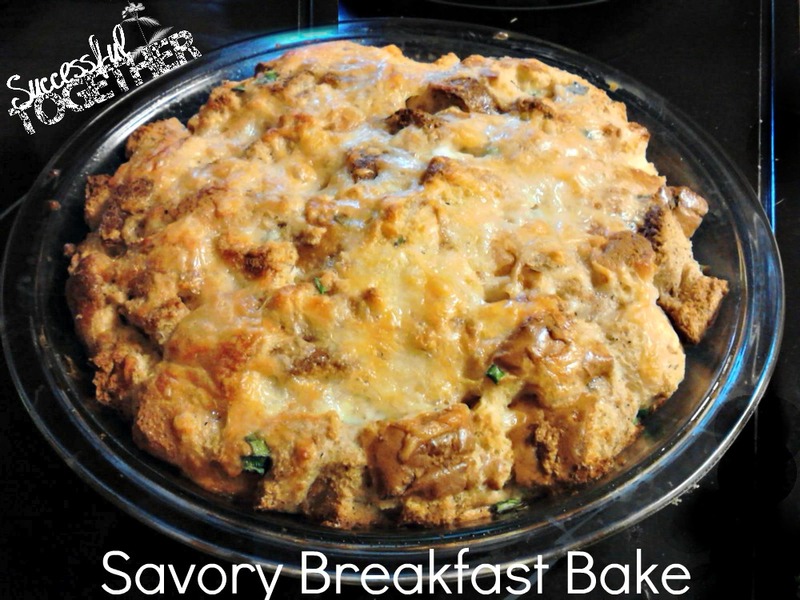 This is PERFECT for breakfast, or you can have smaller portions as a snack or a dessert. Preheat oven to 350. Spray 9x13 glass baking dish with pan spray. Dice and rinse rhubarb and strawberries, sprinkle with 1 tbs sugar, stir to coat and set aside. Mix your dry ingredients (oats, flour, cinnamon, salt, baking powder, and brown sugar blend) in a mixing bowl until well combined. In a separate mixing bowl, combine the wet ingredients ( eggs, banana, yogurt, oil, vanilla and milk). 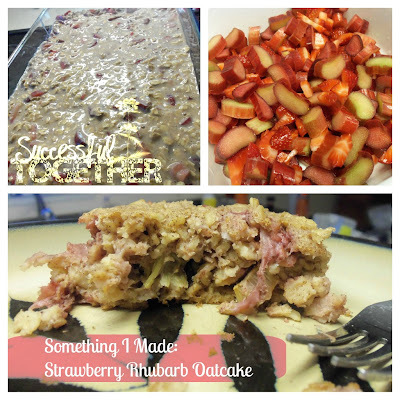 Mix the wet ingredients with the dry ingredients and add the strawberries and rhubarb. 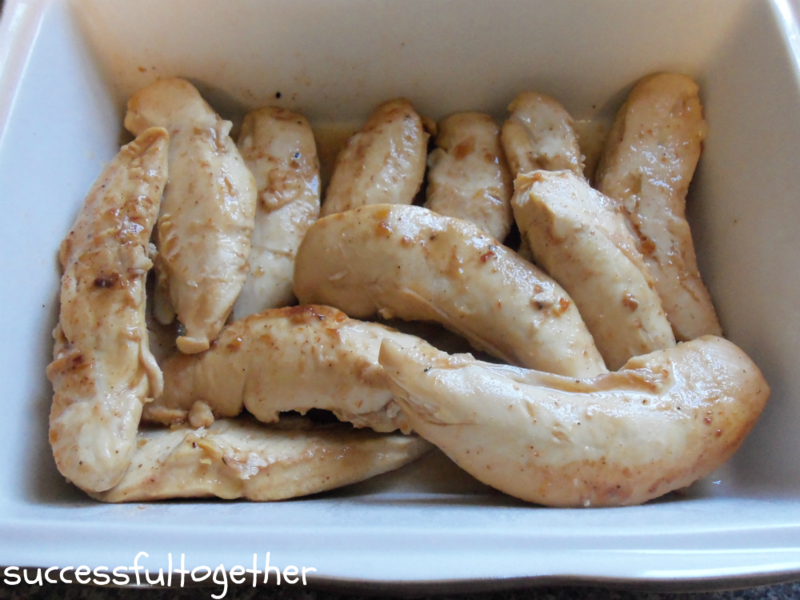 Stir until coated and well combined Pour in to baking dish and bake for 45-60 minutes or until cooked through. 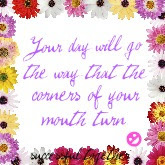 Serve and enjoy!! A simple and affordable meal, that can be adapted to mostly any taste, by adding extra veggies, some additional protein, and using your favorite CHEESE :) This recipe is cooked up in a 9x13 dish, but you could half the ingredients and make it in an 8x8 if that better suits your needs. *this recipe was originally posted as a guest post over on Coupon Savings In The South! Drop by and check out her page!